As a sort of five-year reunion, I decided to head back into the Sentinel Range - but more specifically onto Notch Mountain. 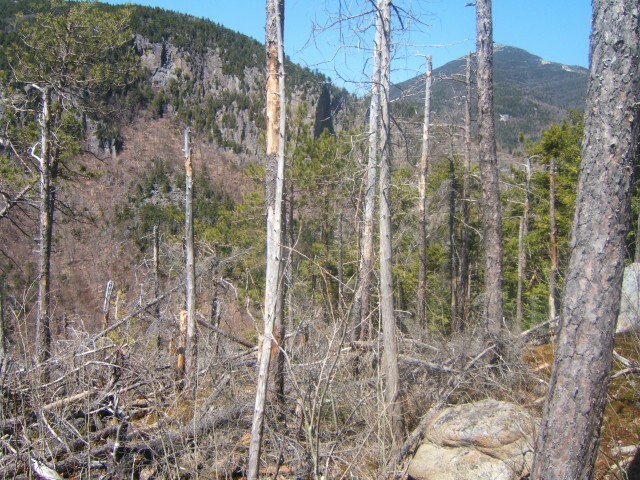 The Sentinel Range is a large tract of land resting in a true wilderness state along Wilmington Notch; hence where it got its unofficial name. 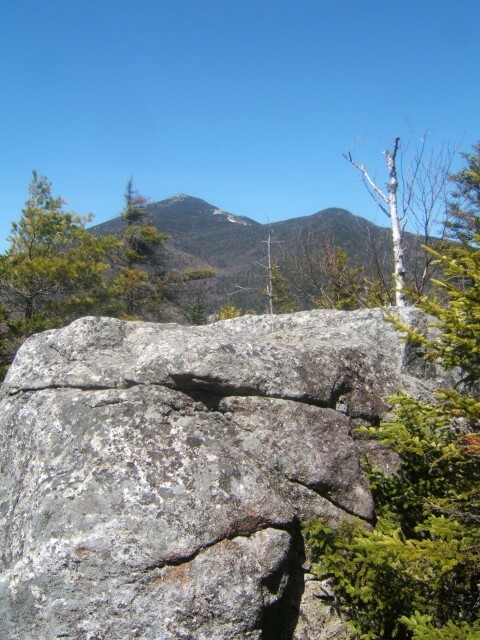 Notch Mountain cannot be found as such on any map, but as a rock climber this destination is known very well by all. 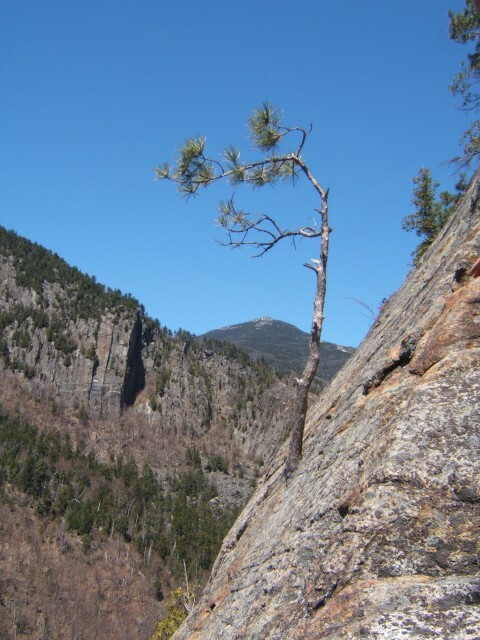 The rock face on the notch side is a popular destination, and the short scramble on the side is a fun approach to the tall ridgeline. 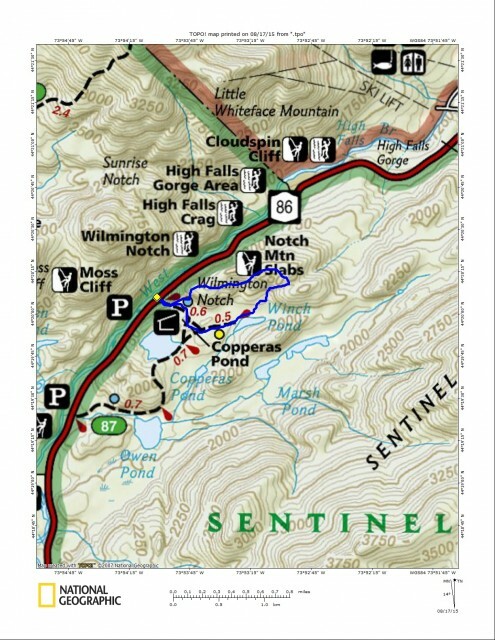 An early start and a 20-ounce cup of Joe managed to get me safely to the Copperas Pond Trailhead. The trailhead was void of cars; I would be the first of the new day’s visitors to the region, even though my time on the trail would be nearly nonexistent. Packing up my gear from the back of the car to my pack I realized a very disturbing fact, I had forgotten my camera at home on the counter. So if you are wondering, these pictures are from previous excursions on the peak - and in the spring none-the-less, but you will get the “picture.” I don’t know why I keep coming back here, but I do. I made quick time up the trail for the very short distance it took to reach the rock climbing herd path on my left - I mean literally five minutes into the trip I was there. The herd path was still very apparent and easy to follow, maybe even more so after years of extended uses. While abrupt in sections, I soon found myself looking up at a scramble which is an arduous open rock slope, just slightly right of the rock wall. 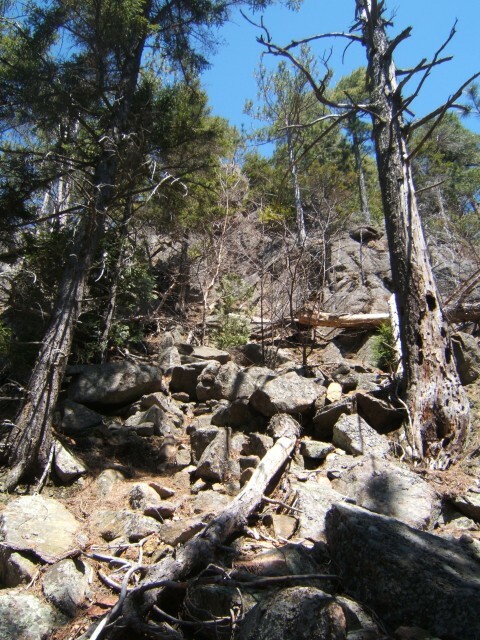 The steep rocky slope is a serious scramble, one I did not want to error on, being solo and all, fortunately it has plenty of spots to grab a hold of something solid. 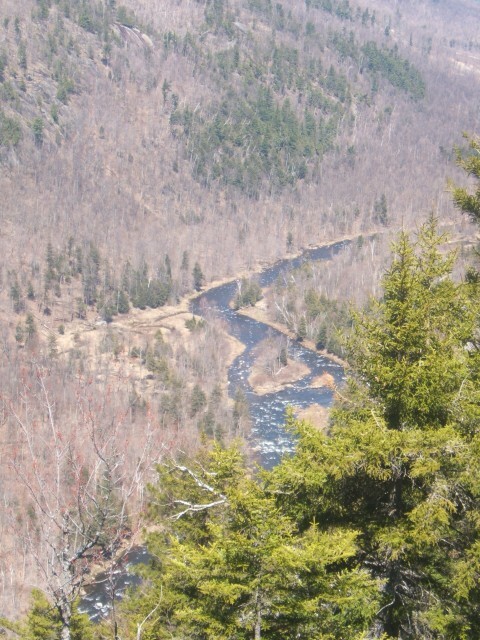 At the top I worked my way to the top of the cliffs and once again was awarded the outstanding views over the Ausable River and toward Whiteface Mountain. After soaking in the views I now had to push on without the aid of a herd path. The forest is a bit scratchy from the start but that was par for the course in the Sentinel Mountain Wilderness. The red spruce armed with sharp needles was not a pleasing friend to any sort of bare skin, as I am sure I have mentioned many times past, that is the reason I wear long sleeves on even the hottest of days. While I was sweating from the heat, actually soaked and steaming, I needed to protect my skin if for no other reason than to avoid a very painful shower later. 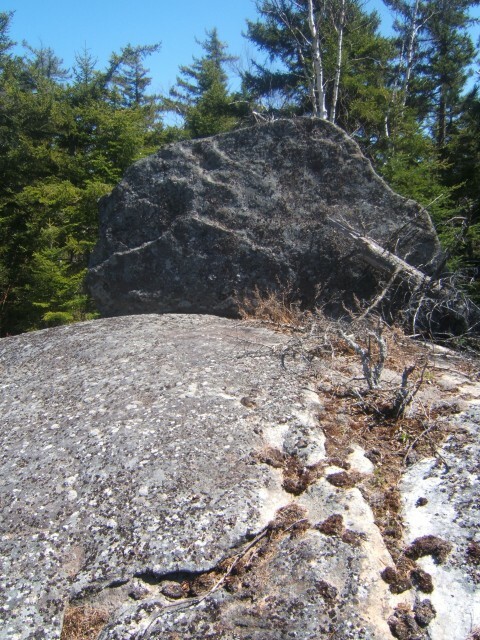 I was now on an obvious ridge, a place I remember well and wanted to explore a bit more. I remembered periodic openings, but there were no real massive views to speak of. I quickly topped off on the first distinctive bump along the ridge. I had to descend a bit from this undiscernible high point and the woods soon opened up a little for me. Quickly I was in the col with the next bump along the ridge, which happens to be the highest point and the summit of Notch Mountain. The climb out of the col was much more challenging than I remembered it being in the past. The route I chose wasn’t a very steep one; I wanted to stay on the ridge as much as I could to eliminate the need to push and pull through the spruce more than needed. The current heat, now reaching 80 degrees, was taking a toll on my ambition. The forest, I must say, along the ridge was much thicker than I had remembered, but I also remember being surprised by it before - does that make sense? I eventually topped out on the true summit with no views; I knew that was going to be the case. But even in knowing that, I wanted to explore around the summit area for something, even a decent place to sit down. I decided not to push on over to the final, but smaller bump along the ridge, I dropped down to Winch Pond right off the summit, I had had enough of the spruce. The descent was crazy-steep but all I wanted was to reach the pond. The unstable ground, loose with rolling debris, deep duff covered holes, rotten dead fall, and dead standing snags mimicking something solid to hold onto, slowed my progression - but also unexpectedly sped it up at times. Once I got off the mountain I hit a lowland area not all that far from the trail, but in a very wet location, where I literally couldn’t avoid getting wet but literally couldn't care less. Wet for the final mile or so back to the car was not a big deal in my tired mind. The Winch Pond Trail was no picnic either, but never really is, it’s wet in its own form. Now for some real food, and not your typical energy bar and Gatorade, I need sustenance. Subs at the Little Supermarket? Sounds very pleasing!